Every night before the mass ascent, the balloonists from around the world do the “show”: the famous Pilots’ Parade. The spectators will have the chance to see coming with great fanfare the crews from all countries, they will parade on the airfield to proudly represent theirs nationalities! Flags, upbeat music, colorful trailers, baskets and other surprises await you in honor of the balloonists. 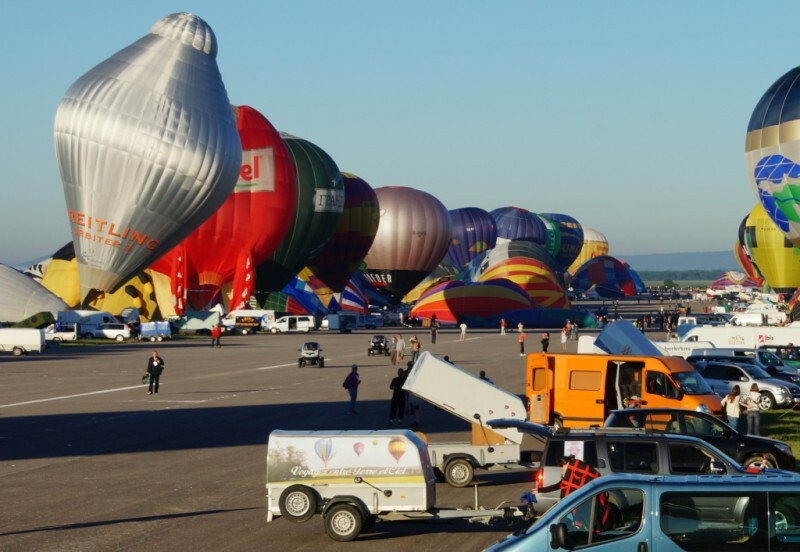 The Pilots’ Parade is the announcement of a wonderful show, the aerostatic ballet of hundreds of balloons. Discover unforgettable moments from July 24th to August 2nd on the airfield Chambley Planet’Air!